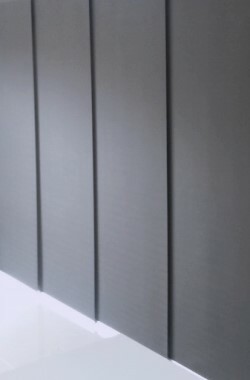 What makes panel blinds so unique is that the wide panels reflect and filter daylight so effectively yet slide sideways making them the stylish alternative for sliding doors and windows. The panels stack neatly behind one another, allowing maximum light into the room. 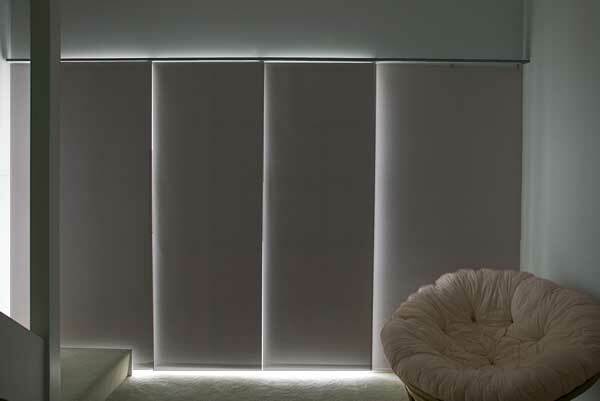 When drawn, these sliding blinds create a complete fabric screen, providing light control and increased privacy. 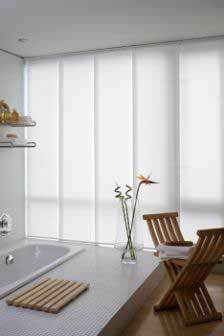 Coordinate throughout your home with the same fabric for your panel blinds, roller blinds and roman blinds. 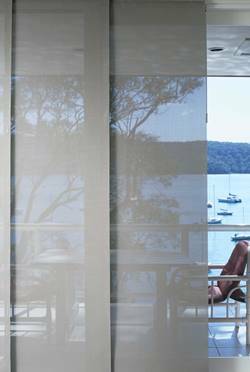 Choose from Translucent natural-looking fabrics, Screens or 100% block out fabrics to get the best light and heat control for your home. Minimum Track width is 1200mm. Minimum number of Panels is 3 as 2 Channel Track is no longer available. 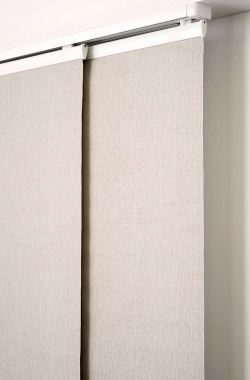 We are also able to manufacture Panel Blinds in other fabrics that are not featured on this page. Most fabrics in our Australian Custom Made Roller Blind section are possible. Please contact us to confirm information on prices and placing an order. Panel blind production can take as little as 6 business days for stock fabrics. Click here for current timing. Panel blinds from Blinds On The Net are the versatile and contemporary way to control light, glare and privacy in both domestic and commercial environments. Custom made panel blinds are the new and innovative shading solution for larger windows and patio sliding doors that look fabulous in both contemporary and traditional interior design schemes. Also stunning as a stylish room divider, sliding panel blinds are available online in a diverse range of colours and designs. Order a free sample of our panel blinds online today to have delivered to your home, anywhere across Australia! Blinds On The Net stocks the highest quality range of panel blinds Melbourne, Sydney, Perth, Brisbane, Adelaide and Australia have come to depend on to decorate their windows. 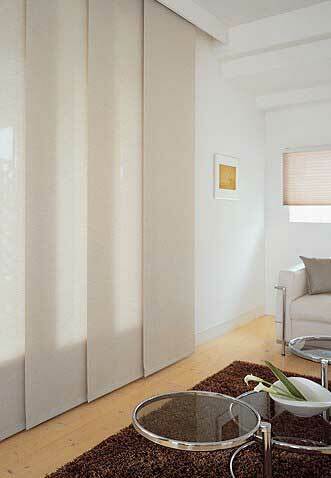 Our panel track blinds will transform the look of any room with its cultured, sophisticated appearance and style. For DIY panel glide blinds, we provide a measuring guide with installation videos and instructions for your convenience. 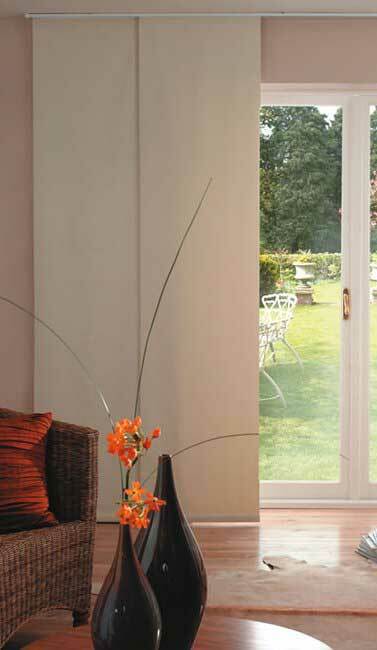 Trust the experts when it comes to cheap panel blinds for sliding doors and windows. Contact Blinds On The Net today to receive a FREE sample of our fabric.